Free Lecture at Washington Crossing Historic Park - April 26, 2015 ~ The History Girl! Author and historian Nancy Loane will present a free lecture – “Wives, Widows and Warriors: Women during the American Revolution” – on Sunday, April 26 at 2:00 pm in the Washington Crossing Historic Park (PA) visitor center auditorium. 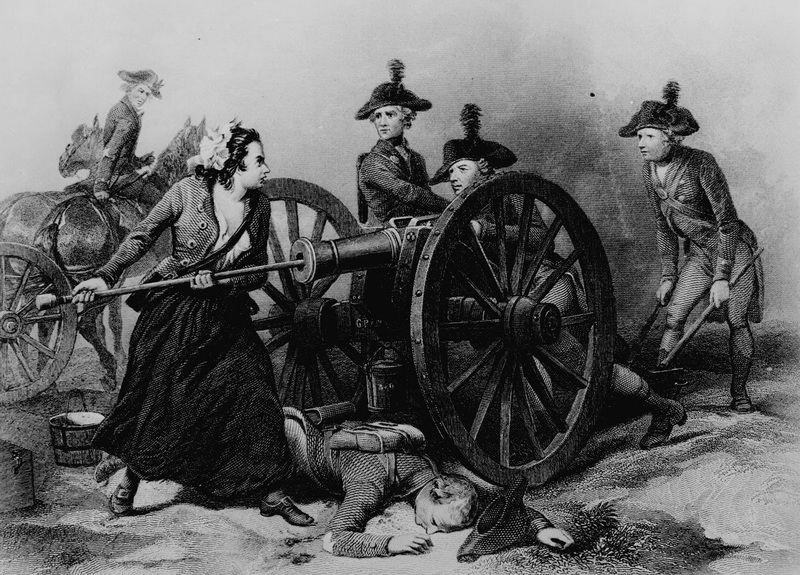 Molly Pitcher at the Battle of Monmouth, engraving by J.C. Armytage, c 1859. Site says Saturday April 26th. Anyone know if it's Saturday the 25th or Sunday the 26th? Really want to bring my young history fan to this talk! @serendipitousP, it is Sunday, April 26 as noted on this web site.